I finally made it to the Moosewood Restaurant!� Call me crazy, but ever since I came across one of their cookbooks I have been dying to make it there but never had a reason to be in Ithaca, NY.� But, last month I was traveling solo on a work trip in the Finger Lakes area so I decided to take a short detour for dinner and it was certainly worth it! The Moosewood Restaurant is a collectively owned small business of nineteen members who share the responsibility of running this wonderful healthful natural foods restaurant.� They have a small, yet diverse, lunch and dinner vegetarian menu made up of the freshest ingredients possible that changes daily.� On my visit, I had a tough time deciding what to have but ended up with a delicious handmade ravioli and vegan chocolate cake for dessert! 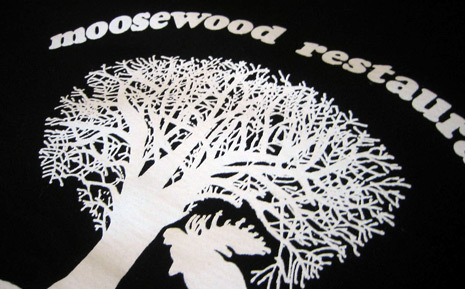 Check out their cookbooks and online recipes to have your own Moosewood cooking right at home.